Definition - What does Downward-Facing Dog With Stacked Hips mean? Downward-facing dog with stacked hips is a deeper version of one-legged downward-facing dog pose. The asana is an intermediate variation of downward-facing dog, which is one of the most well-known poses in yoga and one of the first poses beginners learn. From downward-facing dog pose, extend one leg up toward the sky, keeping the hips square. Bend the knee of the raised leg so the foot drops to the opposite side, then point that knee to the sky and stack the hips atop one another. Repeat on the opposite side. Downward-facing dog with stacked hips opens the hips, stretches the thigh muscles and strengthens the abdominal muscles. It relieves stress and calms the mind while energizing and rejuvenating the entire body. 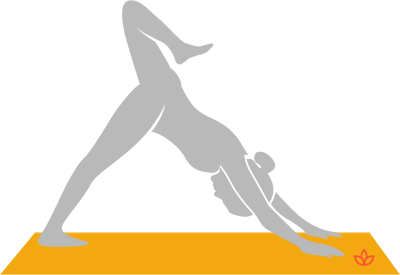 As an inverted pose, downward-facing dog with stacked hips is thought to provide a different perspective on an emotional level, boosting confidence.